Among the most important tasks performed by the finance team is the preparation of a wide range of reports for consumption by the executive and management teams. These range from traditional financial statements (the profit and loss statement, income statement and statement of cash flows) to other financial reports such as detailed financial analyses of sales, labor costs, cost of goods sold and inventory carrying costs. With business today moving at breakneck speed, it’s more important than ever that management reporting be done accurately, thoroughly and on time. Management can’t afford to receive financial reports that are late, incomplete or inaccurate. If they do, this can lead to poor management decisions and missed business opportunities that might not arise again in the future. § Management reports must clearly and concisely highlight the most critical information that’s of greatest interest to company executives and management. § The finance staff sometimes desires to overwhelm management with numbers and figures, but the focus should be more on quality than quantity of data. § The finance staff must be in touch with the strategic, operational and tactical goals of the organization to ensure that the data being reported is meeting these specific information needs. § Timely management reporting requires that processes are in place to ensure that all relevant information is available when it’s needed. § Confusing and poorly presented information will be ignored by executives and management, leading to a wide range of negative outcomes. § Critical information won’t be presented to management in a timely manner, leading to poor decisions and lost opportunities. § The business will become less data-driven and perhaps less competitive in an environment where access to timely and accurate data is essential to success. § The finance team will not be viewed company-wide as a provider of value-added information, thus limiting the influence of the finance team within the organization. § Possess experience in a wide range of different management situations, thus giving him or her a greater understanding of the specific management reporting challenges your company is facing. § Assess the capabilities of your current management information system (MIS) with regard to providing the data you need in an accurate and timely manner. § Initiate the necessary accounting and operational processes to facilitate both the financial and operational reporting, which should contribute to overall operating efficiency and effectiveness of your company. § Your management team will receive the information they need, when they need it, to drive continuous improvement throughout the organization. § Management will have the necessary financial tools and reports to monitor the business and make “real-time” improvements. § Your company won’t languish in today’s competitive global environment — an environment in which companies without the right financial and operational reporting tools will be left behind. Among the most important tasks performed by the finance team today is the preparation of a wide range of management reports. And it’s more important than ever that financial reporting be done accurately, thoroughly and on time. However, finance teams face unique challenges when it comes to management reporting. 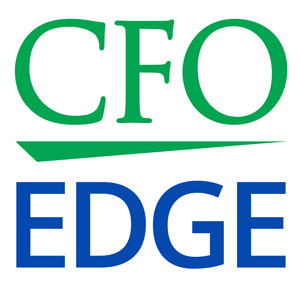 An outsourced CFO services provider can help you meet the challenges of management reporting. With the right management reporting infrastructure in place, your company will reap a host of benefits and positive outcomes.